Is the Korean on this van referring to a church? They've translated it as "Hallelujah Church of Scranton", although the word-for-word translation is "Scranton Hallelujah Church". The Korean alphabet is phonetic, and the first two words are just transliterations of the English (or Hebrew, in the second case). '교회' is the normal Korean word for church. Not the answer you're looking for? Browse other questions tagged translation meaning written or ask your own question. What does the short form represent for Korean Parts of Speech? what's the old korean saying, “Nuh jukgo, nah jukja”? 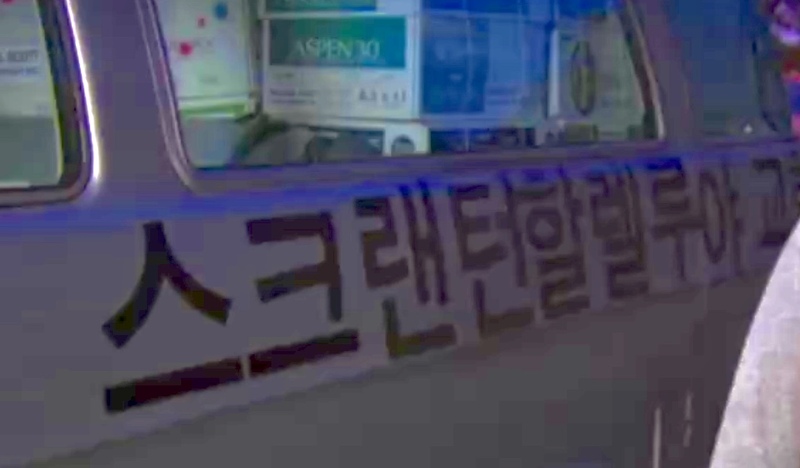 Is there a name for this style of text, with Hanja written alongside the Hangul? Can someone help me translate this phrase? What does “지” mean in the following sentence? whats this korean sentence mean? 배우 태연의 공중파 데뷔작은? Do they want a year and what they want?